Halifax Fire has suspended training activities at the Nova Scotia Firefighters School in Waverley, while CBRM Fire has returned fire extinguishers from the school after a training incident that killed Truro firefighter Skyler Blackie. 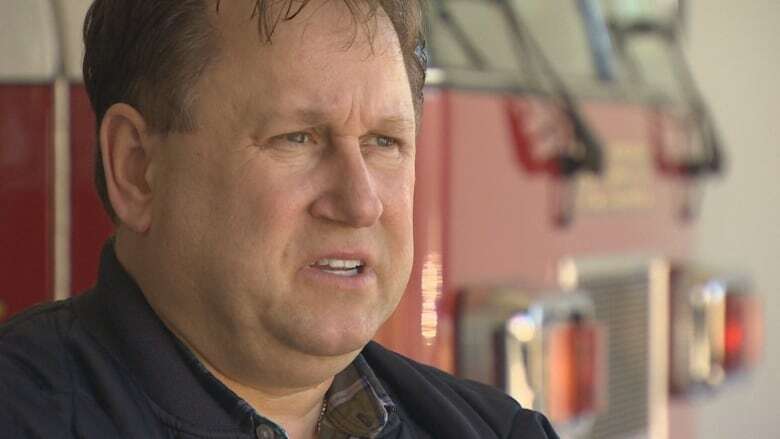 Two of Nova Scotia's largest fire departments moved quickly to implement safety measures to protect their own in the wake of a tragic training incident that killed a firefighter from Truro this month, CBC News has learned. Skyler Blackie, 28, died in hospital 11 days after suffering a head injury during routine training at the Nova Scotia Firefighters School in Waverley on Saturday, March 9. Little is known about the incident except that it involved a fire extinguisher. On March 12, Labour Department investigators ordered the school to remove and inspect all similar fire extinguishers. The results of those inspections, along with the school's certification and training records, were also ordered to be handed over to the provincial department. 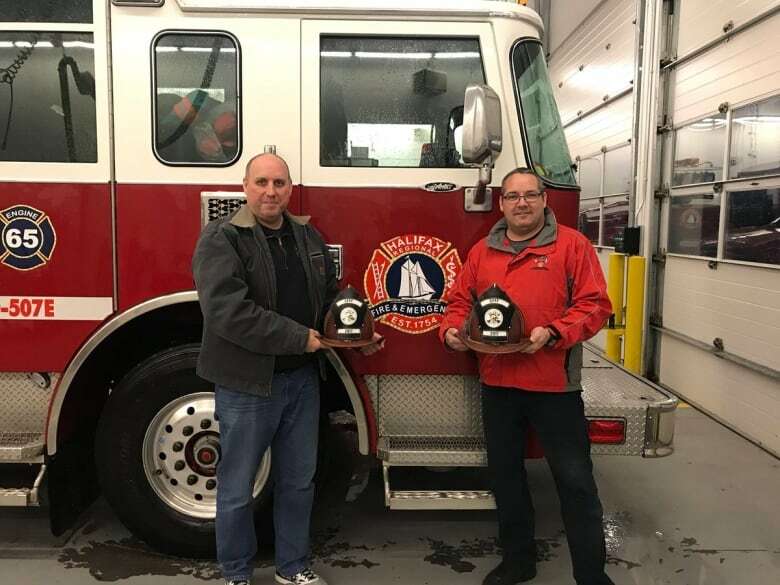 But even before the demands came down, a high-ranking firefighter in Cape Breton was taking action: about 20 fire extinguishers from the school used to train CBRM firefighters were immediately taken out of circulation to be shipped back to Waverley. Deputy Chief Chris March took the precautionary measure on March 10 after word spread quickly within the firefighting community about a "completely tragic" death. "It's just horrific," said March, whose brother is also a firefighter in Halifax. He noted that "some of the most basic training we do as firefighters is fire extinguisher training." "Never in a million years would you think that something of this magnitude could end someone's life," said March. March was unable to specify the type of fire extinguisher, but he said they cost about $900 each. The extinguisher is a model typically used for training purposes and has a plunger on the side. He said the school in Waverley sends the extinguishers to Cape Breton charged for use, where they've been used by level one students over the last year or two. March said he returned the extinguishers because he "didn't want anyone near them" and because he knew an investigation would take place and "we could say we hadn't used them since." March said alternate fire extinguishers are now being used for training. Halifax Regional Fire and Emergency also took action March 11 by suspending any further training activities at the school "as a safety precaution, and to allow the relevant agencies time to conduct their investigations," said spokesperson Brendan Elliott. He said this step has not had an impact on Halifax firefighters. They don't usually train at the school during the winter months and have their own training facility in Clayton Park. "Once the warmer weather approaches, we will assess any training sessions planned or requested for that location," said Elliott. He added that Halifax fire crews use their own equipment when conducting training — not equipment from the Waverley school. The Nova Scotia Firefighters School is a privately run, non-profit facility that's been in operation for more than 50 years. It trains about 6,000 students a year. It is funded mainly through course fees, and also receives a grant from provincial Department of Municipal Affairs. The province's fire marshal, who sits on the school's board of directors, declined to comment and cited the Labour Department investigation. 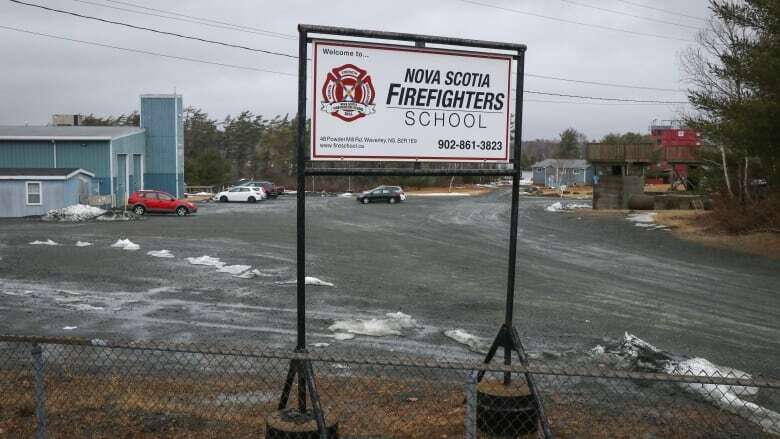 Jim Roper, the head of the Fire Service Association of Nova Scotia, which represents volunteer fire departments, said he continues to have confidence in the school. Roper also sits on the school's board. The school is still operating amid the Labour Department investigation. John Cunningham, the school's executive director, told CBC News around 15 to 18 extinguishers have been sent to a company within the province for inspection, and the step was taken voluntarily after the incident. Cunningham declined to name the make and model of the extinguishers. Asked whether they were purchased new or donated, he would only say that information is part of the investigation. He said the school is continuing to gather all training and certification records for review by the Labour Department. As many as 5,000 first responders from across North America are expected to attend a regimental funeral for Blackie on Saturday at the Colchester Legion Stadium in Truro. Members of the public wishing to pay their respects are asked to line the procession route before 10 a.m.
March will travel from Cape Breton to attend the funeral, and there will be a strong contingent from the island. He expects to be joined by several members from each of the 35 stations that make up fire services within the CBRM. Blackie started as a volunteer firefighter when he was 18, and trained through the Halifax department. He served as a lieutenant at station 45 in Fall River, before beginning his career as a firefighter with the Truro Fire Service in 2013. His obituary states that Blackie was an organ donor, allowing his "legacy and strength" to live on in others. If donations are desired, his family has asked they be made in his memory to the Colchester SPCA or Prostate Cancer Canada.